When Kate Walsh graduated from college and launched a career, her parents turned her bedroom into a space for meditation and yoga. Jim and Zina Walsh of surburban Newark kept a daybed for Kate’s visits home, but they took down the Cal Ripken posters and painted over the stencils of ballet slippers. They made the walls a soothing misty green and added meditation cushions, a yoga mat, Tibetan prayer flags and a statue of the Buddha. “It’s really a work in progress, ” Jim says. Yoga teacher Beth Shaw encourages people to carve out such a space, even in the tiniest apartment. She did that once in a shoebox-sized New York apartment. 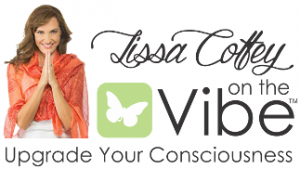 She once made a meditation room in a kitchen garbage closet with what she found around her home. “It can be done anywhere,” says Shaw, founder of YogaFit, a nationwide yoga training program with headquarters in Redondo Beach, Calf. It’s because of our harried lives, she says. “Having places where we can retreat to a little bit of silence gives us balance,” she writes in an e-mail. She maintains that altars are easy — all you need is a flat surface, and it doesn’t have to be fancy. “Add a scarf, some candles and some items that are meaningful and you’ve got your own little corner of serenity,” Coffey says. Walsh created such an alter in a meditation room with a chest, scarf and a Buddha. Some of the objects he already owned, others he and Zina purchased at Pier 1 Imports. Walsh has meditated for more than 20 years, his experience teaching him that the practice is giving a greater sense of choice and flexibility in how to react in each moment. He is a Catholic and says meditation has enhanced his sense of connection to others during the celebration of the Eucharist. He is also a faculty member at Wilmington College, as well as a pastorial counselor and, in these rols, often recommends meditation to others. “Staying sane is often a matter of having things like mediation and a refuge to go to,” he says. Jose Ramirez of Avondale, Pa., has devoted an upstairs room in his home to his meditation practice, too. Ramirez is abbout of the Delaware Valley Zen Center in Newark, and he can be found in his meditation room most mornings. 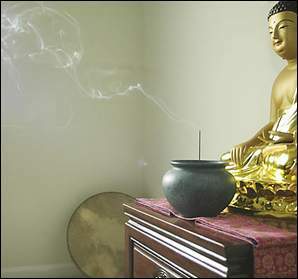 An incense burner is lit before a statue of Buddha in Jose Ramirez’s meditation space. When their daughter graduated college, Jim and Zina Walsh turned her bedroom into a meditation room. Salley “Sara” Hostelley added yurt to her Wilmington back yard. She uses the space for yoga, meditation and other quiet activities. 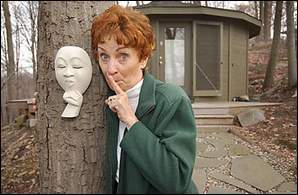 A sculpture posted on a tree alerts visitors to the yurt of the importance of quiet. Double windows seem to bring nearby trees indoors and make the room inviting. In his home, Ramirez sits before an altar with a beautiful gold Buddha. It was sculpted in the Korean Zen style, the style in which Ramirez has been trained. The sculpture shows the Buddha, awakened to his own true nature, after a long spiritual quest. Another person who has taken time to create a setting for spiritual practice is Sally “Sara” Hostelley. 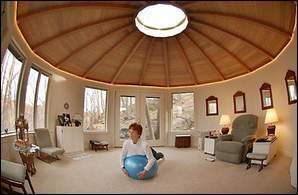 Seven years ago, she was wondering how to create this space in her Wilmington home when a friend suggested she look into building a circular domed dwelling. In some parts of the world, such dwellings are known as yurts. Hostelley found that Oregon Yurtworks had modular yurts of many sizes, and they could be assembled in about a day. Since purchasing the $10,275 cedar-shake yurt it’s proved a handy and inviting retreat. The yurt is 19 feet in diameter and brings in plenty of light. A skylight and windows allow her to feel close to nature. Hostelley has held mettings of her women’s spiritual growth group in the yurt, which is a short walk to the back of the property. When she’s there alone, she has a variety of activities she turns to — meditation, prayer, reading, working with her balance ball or yoga.